With more than 20 years of experience in interior design and a background in textiles, fine art and gallery management, Catherine Henderson provides her clients with a unique and personal interior design service. Catherine says "An interior designer must have three things; empathy, talent and experience if they are to help their clients to create a beautiful home." You deserve a beautiful classic home. No time or expertise for decorating? No problem, we work for clients who want results that wow and understand the value of delegating to an expert. We take care of the hours of leg work it requires to create beautiful spaces. Our Fully Furnished Room Services will design to your functional and aesthetic needs and take care of everything a well dressed room needs. We do not offer short consultation services for DIY projects, we do not believe that works. Begin your Journey Home by talking to Nadine. At Cedar & Snø, we love to help you create a home that you are truly happy to be in every day. We specialise in light, nature-inspired designs with a Scandinavian feel on an affordable budget. We offer interior design consultation on renovation, furnishing, finishes, colour, decorating and styling, as well as space planning and project management. We are based in Canberra and Sydney. Inner Sanctum Interiors is Canberra based interior designer business. My design skills & experience allow me to offer a holistic approach in all aspects of build & design for my clients. As a designer I understand the importance of the flow of colour & design within a home, whether existing or new. I have found over the years that clients just want to get it right & I become the tool that shows them how. All clients have their own individual style & my aim is always to make sure that individual style remains in all aspects of the advice I give. A simple consult can clarify a lot of questions & concerns. Whether you need one room or a full home design and renovation, I will be working with you to share a giving a thorough approach, with uncompromising quality as the end result. Let's create a space that is all about you! Spaces that suit your lifestyle will add value to your living. Collaborative design for Canberra's creatives! Melinda Boag Design is a Canberra-based Interior Design business established in 1993. Throughout her career, Melinda has been the recipient of numerous prestigious accolades . Melinda has won various awards in 2012, 2013, and 2014, incuding a National Award for Best Display Home. 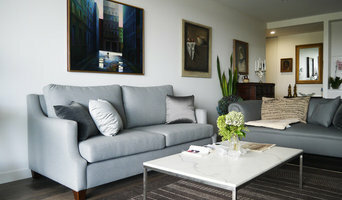 For more info please visit www.boagdesign.com Melinda is a intuitive and creative designer, dedicated to realising her client’s visions with her wide-ranging interior proficiency. 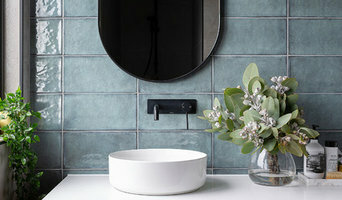 From paint colours to kitchen and bathroom design, her philosophy of turning ordinary rooms into incredibly practical yet aesthetically-pleasing spaces has made her a much sought-after interior designer. Melinda specialises in both new homes and renovations, and is a certified kitchen and bathroom designer. In the last 20 years, Melinda has worked closely with a wide-ranging clientelle including architects, builders, developers, and individual clients. Sympatico Interiors is a Canberra-based interior decorating consultancy that delivers stunning design solutions by creating inspired ideas and providing good old-school service. From residential makeovers to styling new builds and display developments, by building a relationship with you, our team is able to transform your aspirations into a beautiful space that is bang-on budget. Visit us at our concept studio or contact us to schedule a free consultation – we’re happy to travel to you anywhere in Canberra. A small travel fee applies if you’re located outside of the region. MELTT provides bespoke designs and creative advice for home owners, business owners, builders, developers, marketing agencies and real estate agents. MELTT blends functional design with market-sensitive concepts, minimises project complexities and delivers attractive solutions for clients. I am an Interior Designer and Stylist with a Diploma of Interior Design and Decoration from the Canberra Institute of Technology. My specialty is developing style concepts for residential interiors that include colour schemes, window furnishings, floor coverings, tile selection, lighting schemes, joinery design, furniture selection and art choices. 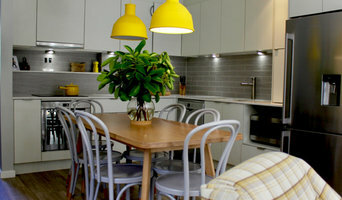 YOLK Interior Design is a boutique design studio based in Canberra, Australia. We specialise in offering custom interior design services to residential and commercial clients in the Canberra region. I am a colour consultant in Canberra. If selecting colours for your home is making you feel stressed and overwhelmed, we will save you time and money by using our knowledge of colour to create a fresh, new colour scheme for your home. On occasion, interior designers in Canberra, Australian Capital Territory will need to subcontract help from other Canberra, Australian Capital Territory professionals to help create the perfect look for your home renovation. These may be specialist installers or interior decorators like kitchen designers, architects or landscape contractors. Start by asking yourself what you want your space to become and how it will be used. List your must-haves and decide on your budget. Interior design services can add up fast, so be upfront with potential interior designers from the beginning. Also, pick a designer in Canberra, Australian Capital Territory that fits your style. Browse through their interior design portfolio on Houzz and ask yourself if you’d live in any of those houses. If the rooms inspire you, take note of what elements you appreciate. 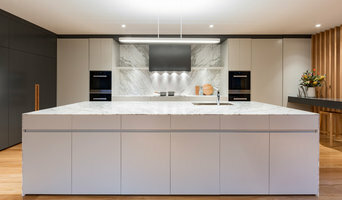 Find residential Canberra, Australian Capital Territory interior designers on Houzz. Scroll through this page to find interior designers in your area. Then, browse their design portfolios to see how their work compares to the scope of your project. You can read reviews to see how other homeowners rate their work, and message them directly to to ask any specific questions.